Wonderful carpenter Gothic Design by Richard Upjohn. "The new building was completed in 1860. Its high elevation, tall windows, tower, and steeple make it a graceful church building. Captain Berry's use of white trim against red brick gives it a Georgian quality and definitely relates it to the old courthouse. The louvered shutters, galley, original pews, and antique pulpit with fluted columns give interest to the interior of the church. The original building (sanctuary/narthex/balcony/basement) designed by Captain Berry remains intact. When the church was built, the floor slanted down toward the pulpit. A large stove was located at the back of the church. There was another stove where the organ is now located. The pews and pulpit date back to this time. A local legend tells that during the Civil War, when the Confederates found that they needed more cannons to hold their lines, they asked the church to donate the bell to be melted and added to their cannon supply. The church declined the proposition." From Hillsborough United Methodist Church's Website. Read more Here. One consequence of Glasgow’s extraordinary growth in the late 19th century was a wave of new church building undertaken to meet the needs of an expanding population – Queen’s Cross accommodated a congregation of 820! In 1896, the Free Church of St Matthew, Glasgow, commissioned a new church and hall from the experienced Glasgow architectural practice of Honeyman & Keppie, to be located in the developing area of Springbank, near Maryhill. John Honeyman allocated the job to his young, talented, trainee architect, Charles Rennie Mackintosh. The site was a tricky one, being bounded on two sides by busy roads, and butted by tenements and a large warehouse. 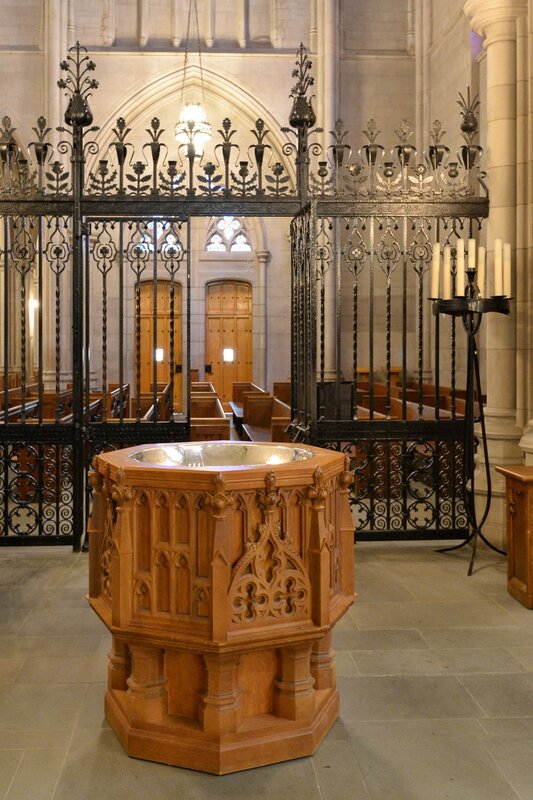 In keeping with their beliefs, the Free Church required simplicity in design. The foundation stone was laid on 23 June 1898 and the building opened for worship on 10 September 1899. In 1929 the Free Church was reunited with the Church of Scotland which assumed ownership of Queen’s Cross. In 1976, following a decline in numbers, the congregation merged with that of nearby Ruchill Church and vacated the building. The following year, the newly-formed Charles Rennie Mackintosh Society took on the building as its headquarters and has cared for it ever since. In 1999 a generous gift from Dr Howarth enabled the Society to purchase the church. A key mission of the Society is to continue to care for and share this wonderful building with as wide a public as possible. Freestanding double-height Gothic Revival Roman Catholic church, built 1858-66, with eight-bay side elevations, gable-fronted three-bay chancel, two-bay single-storey sacristy and two-stage entrance tower and spire. Pitched concrete tile roof with gable copings, finials and cast-iron downpipes. Cut-limestone spire with lucarnes. Snecked limestone walls with stepped buttresses, string course, eaves dentils and some hood mouldings. Pointed arch openings with cut-limestone dressings and cast-iron quarry clear and coloured glazing. Retaining interior features. Graveyard to site with various cut-stone grave markers. Cut-stone piers to front with cast-iron gates and railings. The new exterior sculpture by Thomas Sayre was installed last week at Hayes Barton United Methodist Church. It serves as a welcoming beacon to the new addition by Skinner Lamm & Highsmith Architects. We designed this Gothic Revival wooden fence to conceal mechanical equipment at St. Timothy's Episcopal Church in Wilson. Poulnabrone dolmen portal tomb in County Claire, Ireland was one of the most amazing places we visited on our trip to Ireland & Scotland. It is unbelievable to stand in front of something that is 6,000 years old and is one of humanity's first architectural creations that was not designed for protection against the weather.